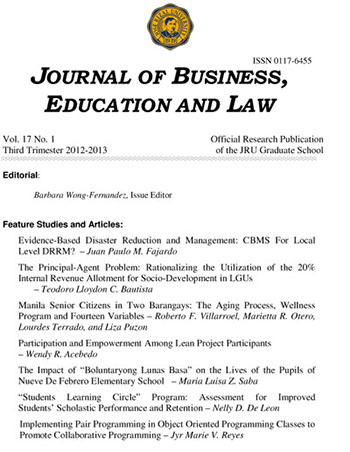 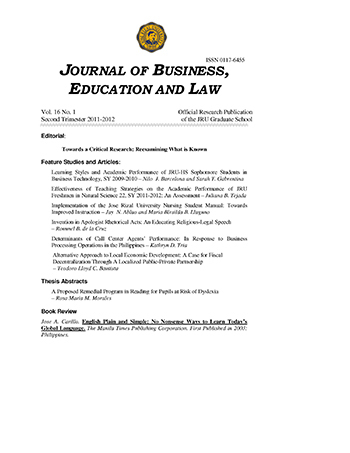 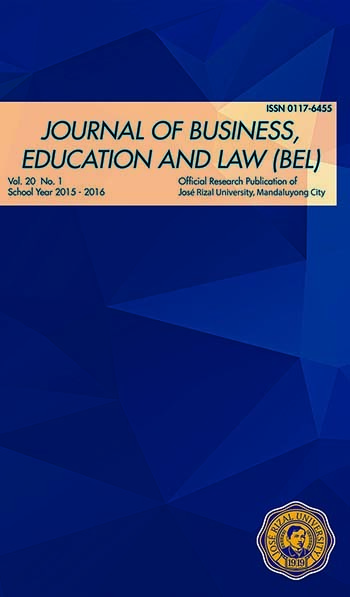 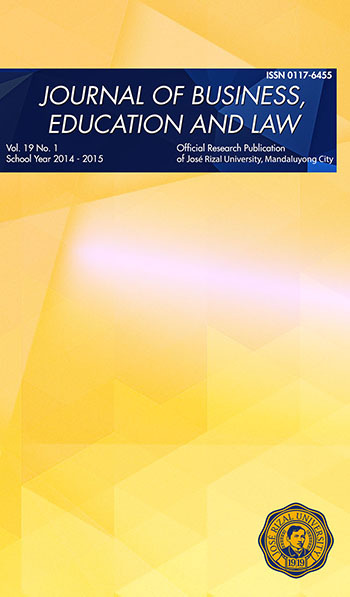 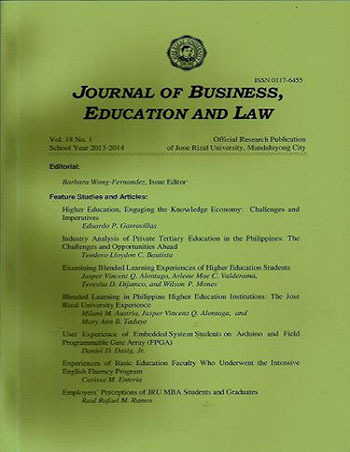 The Journal of Business, Education and Law is a professional refereed publication of the Jose Rizal University. 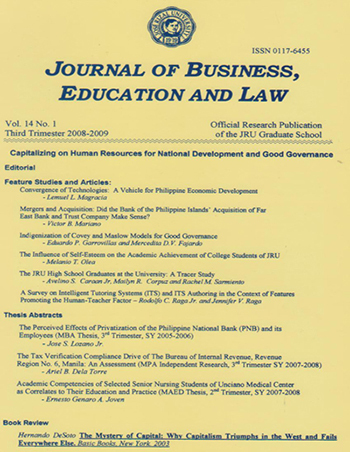 It is dedicated to the active application and dissemination of researches and other academic and scholarly papers/essays in the fields of business, public administration, public policy, local governance, education, social sciences, liberal arts and law to the relevant concerns, problems and issues in the Philippines. 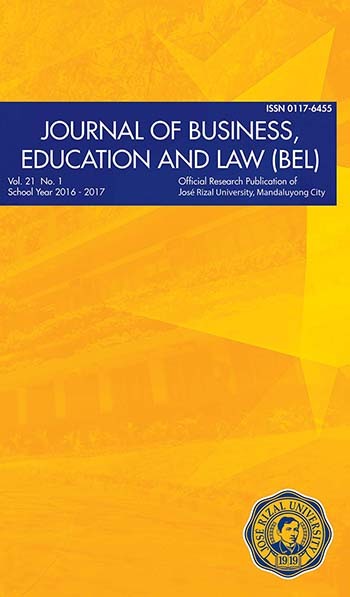 The journal is directed at a diverse readership primarily composed of the academe, business, law, non-profit organizations, and government. 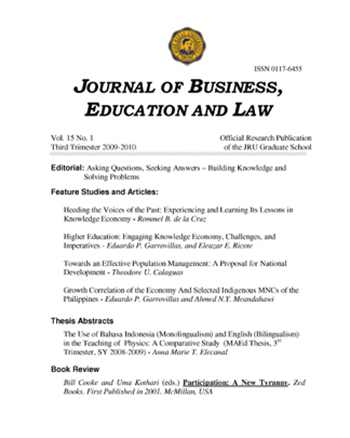 Its articles are expected to be of use to policy and decision makers, middle management, analysts, researchers, and graduate and college students.